Twenty-four years ago, when Leonard Cohen appeared on the BBC TV show, Later with Jools Holland, the host asked if he believed he was an optimistic person. 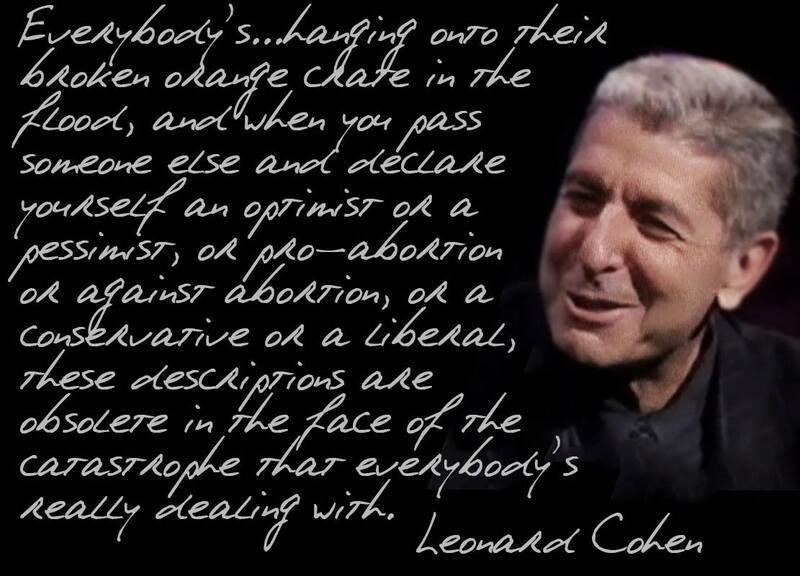 This entry was posted in philosophy, politics and tagged leonard cohen. Bookmark the permalink.